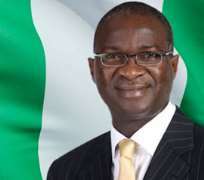 The Lagos State PDP has accused Governor Fashola and Lekki Concession Company (LCC) of negligence and Criminal breach of Contract on the Lekki-Epe express road which consequently led to the Killing of five Pupils at Ikota area of the said road. The party's position is also to reaffirm that the whole original contract on the road, now under "buy back", remains a monumental fraud in the administration of Governor Fashola. In the opinion of the party, several past fatal accidents and this present one on the road may have been prevented if the road Contract agreement was dutifully monitored by the State Government. Such accident prevention measure is the provision of pedestrian bridges on the road. "This provision has been breached by the concessionaires Company and now the road users are dying innocently"
The Party further describes Governor Fashola's Administration as one of mediocrity stating that the administration's acclaimed best road has turned out to be theatre of recurrent fatal road accidents due to its poor planning and construction. "For whatever business interest, Governor Fashola neglected to compel the concessionaires Company to provide pedestrian bridges at designated points as expected on such road. Consequently, pedestrians are compelled to run across the Six lanes road. The Criminal negligence of not ensuring pedestrian bridge, especially at the school area in Ikota, forced the pupils to attempt to cross the Six lanes road when they where crushed by a truck. This Governor must thus take responsibility for the death of the Pupils. Himself and the Construction Company must not only visit the families of the deceased but both must pay adequate compensation for the lives lost needlessly"
Finally, the lagos state PDP restate its call for public schools to be available nearby communities and funded to standard. "Presently we have shortage of Public Schools in lagos State so much that many pupils trek over 5Kilometers to get to their schools.